Viva Puerto #17 | Highway to Oaxaca 201? View of Colotepec from Santa Martha tunnel. 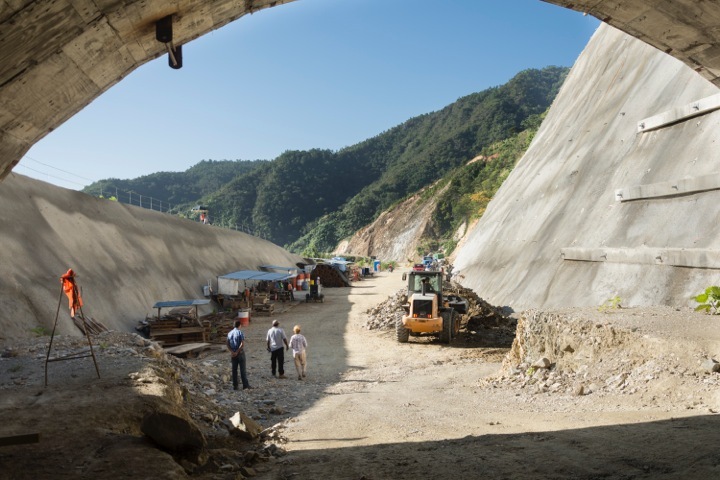 The 223-meter-tunnel should be finished in January. ¡Viva Puerto! 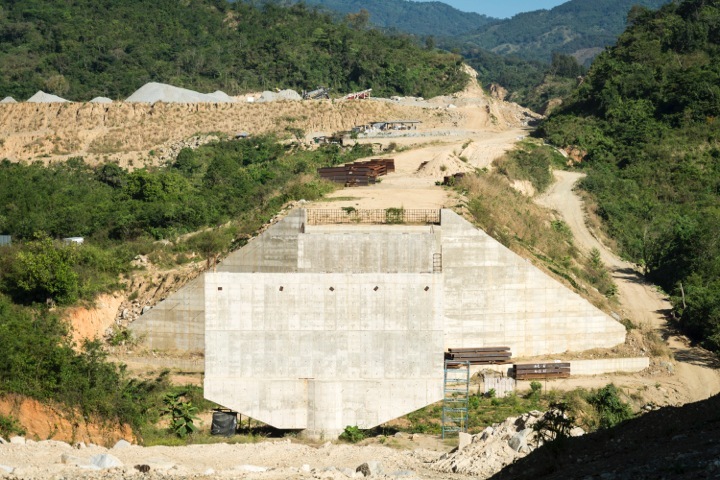 has been reporting since 2010 on the construction of a 104 km toll road that will connect Puerto Escondido to Oaxaca via Ejutla. Once completed, the drive time from the Coast to the Capital will be only 2½ hours. ICA, a Mexican builder of infrastructure projects, is constructing the highway in a joint project with the Federal Department of Communications and Transportation (SCT) and has a 30-year concession on the tolls. Atotonilco bridge, a few kilometers north of the tunnel. The village of San Antonio Lalana has two rivers, running through it. 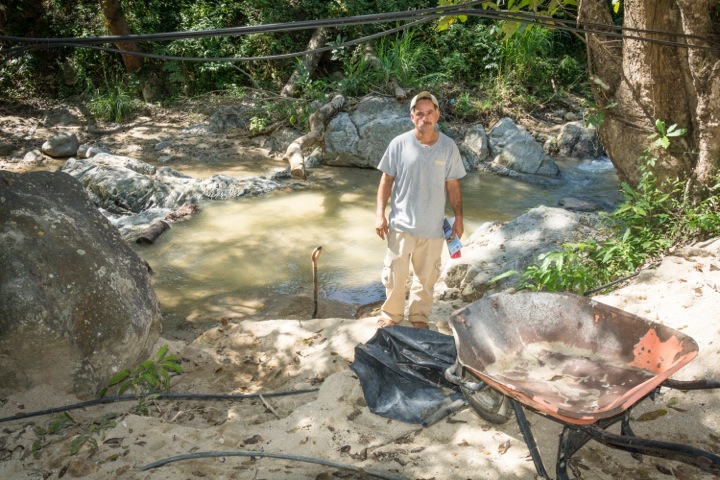 Up until recently the larger one, the Potrero, had swimming holes and the water was clean enough to wash clothes in. Now both are filled with dirt from the highway construction a few kilometers away. ICA had promised to build a retaining wall to keep the dirt out, but construction more or less came to a halt this summer and the wall has not been built. Highway construction was scheduled to restart on October 15, but it didn’t. Then in mid-November the company’s offices in Lalana shut down, and the engineers and the heavy-machine operators moved out of their lodgings. The Puerto Escondido offices had closed in April. 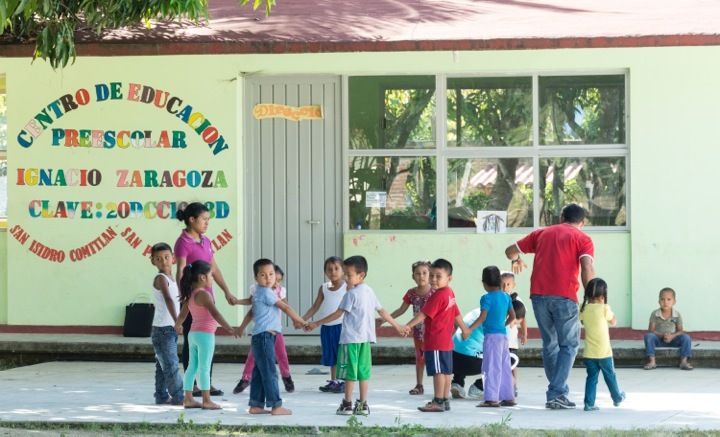 Now all operations are centered in Ejutla. Because of the landslides, we had to make a detour through the village of Comitlán. Nevertheless, when we made the journey to Lalana and beyond on December 1, we observed more work being done than in September. It was mostly clearing rock slides, but new embankments were also being built. On November 30, ICA announced a 30-day grace period on the 31-million dollars in interest payments owed to its bondholders on a bond that comes due in 2024. On December 2, Moody’s lowered ICA’s rating to Caa3 (very high credit risk) and Standard & Poors gave it a CC rating. If it cannot pay its bondholders by the end of December it may be declared insolvent and be given a period in which to negotiate with its creditors. ICA’s shares reached a high of 27 pesos in 2014; on December 2, they were only worth three pesos. On December 3, the Department of Communication and Transportation (SCT) announced that it was looking for ways to speed up payment of money it owes the company. 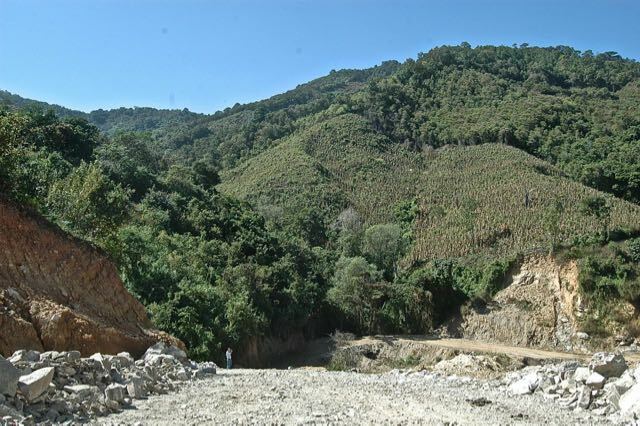 Meanwhile, the State has still not reached a settlement with the communities of San Francisco Coatlán and San Sebastián Coatlán, both of which lay claim to a six-kilometer stretch in the mountains through which the road must pass. Coming on the “highway” — which in many places is still service roads just wide enough for one vehicle to pass — from Ventanilla, you will eventually run into the side of a mountain. 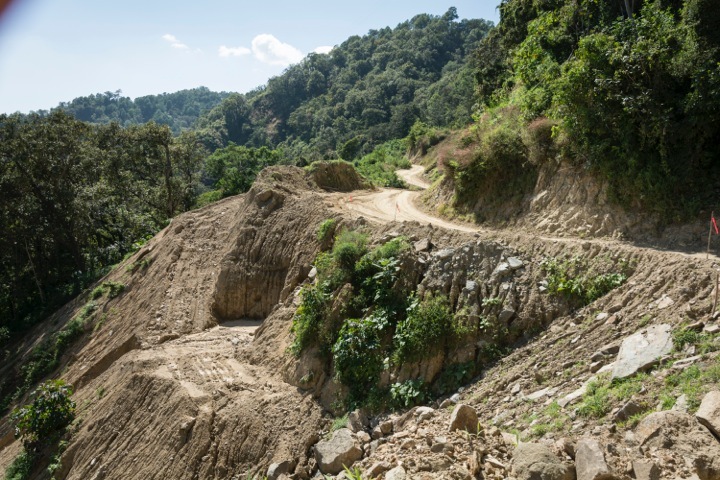 This you can only circumvent by driving west on a twisting, dirt road to San Sebastian Coatlán and then northeast to San Pablo Coatlán – a 90 minute detour to get to the rest of the construction. There isn’t even a footpath connecting the two sides. 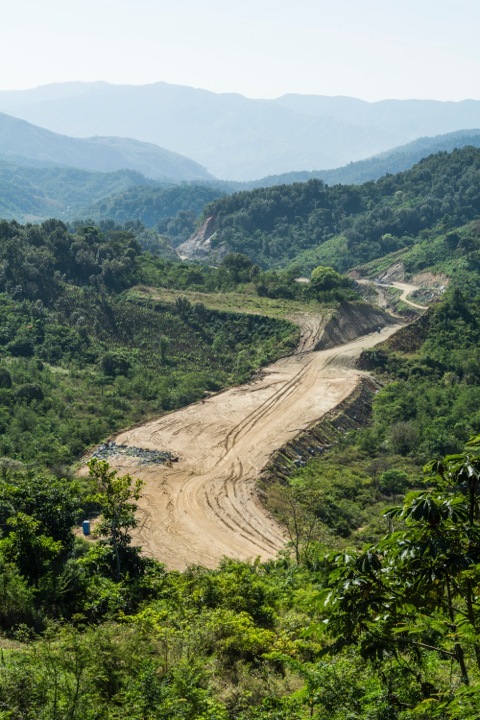 Despite these problems, both ICA and the State and Federal governments are still holding to their promise that the highway will be finished in 2016. Río Potrero — Bartolo Ramírez Cruz, agente municipal of San Antonio Lalana. Here is where the construction ends for 6 kilometers. The detour passes over the mountain and goes west to the town of San Sebastián Coatlán. From there it goes northeast to San Pablo Coatlán and the highway continues to Ejutla.